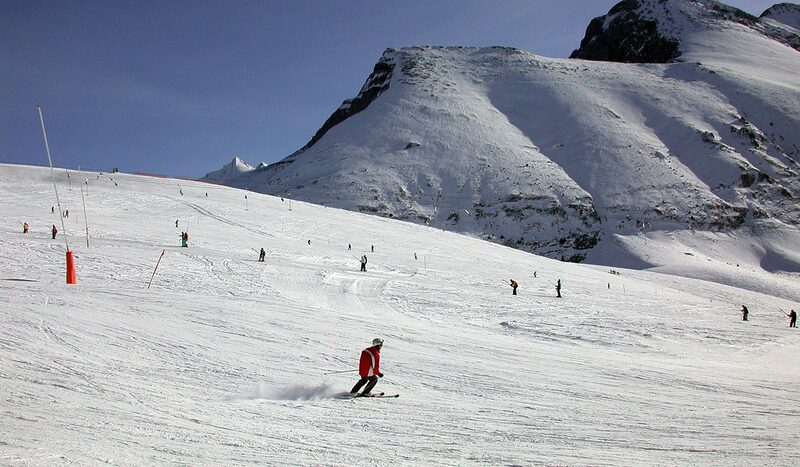 The season for skiing, snowboarding, and many other winter-based sports is approaching, as people flock to the slopes to enjoy the cold weather over this festive period. The call of the mountainous, snow-capped valley is an obvious appeal, but what is not is the chance of severe sunburn or paying a lot of money for a broken leg without insurance. This is why the Foreign and Commonwealth Office have launched the #SkiSafe campaign, with the intention of damage limitation for all those with their skis at the ready. I spoke with some members of the university’s Ski Society, whose stories illustrate why FCO advice is so important. Taking out travel insurance is not always thought about with the excitement of going on holiday, but for an activity-based trip such as skiing, it is essential. When you lose your balance on a particularly steep slope, resulting in a broken wrist, the costs are often underestimated. An air ambulance can cost upwards of £1,500 in Europe, and hospital stays can be hundreds of euros a night. On top of that, you need to think about emergency flights, for yourself to get home or family to come out to you, meaning a simple misplacement of the foot could cost tens of thousands of pounds. It is far more economically savvy (and safe) to get travel insurance before you go — after all, better safe than a-huge-medical-bill sorry. At the very least it’s worth making sure your EHIC card is in date, as this means you’ll be charged the costs of a local for medical treatment. Given the physical intensity of skiing, it is important to know your limits – do not assume you can achieve everything on one day and risk exhaustion. Moreover, do not lose sight that skiing is unlike any other holiday, where you can drink alcohol with lunch and then carry on with your day, given that skiing can be dangerous sober, it is highly advised to not drink and ski. Another thing often forgotten about when packing for a holiday amongst the snow is the effects of the sun. Every year, countless people turn their skin an unfortunate shade of magenta because they do not consider the fact that sun cream is also an essential. As are the correct protective gear; although helmets, gloves, and goggles aren’t always considered the most fashionable accessories, given the risk of head injury associated with skiing it seems wise to make an exception. Precisely the kind of thing gloves and other protective ski wear are meant to prevent. Even celebrities aren’t exempt. In 2013 Michael Schumacher famously suffered a severe head injury whilst skiing, resulting in him losing the ability to walk or speak. Physicians said had he not been wearing a helmet he would likely have died, demonstrating quite how severe the injuries can be. Most travel insurance won’t cover you if you decide to go adventuring off-piste. Given this, it is especially recommended to stay in areas that are classified by their difficulty and easy to access. However, if adventurous spirit takes a hold and you venture off-piste anyway, it is essential to bring the correct equipment for this kind of activity; an avalanche transceiver, a probe pole, and a shovel. There seems to be a trend for hits and misses on the slopes, and ultimately you should try your utmost to not get injured or have the French government hire helicopters to rescue you; but in any case, at least be prepared in case it does happen. For more winter sports travel advice, visit the Foreign and Commonwealth Office’s Travel Aware campaign here.